Copleston High School’s postcode (as shown on their website) should not be used as this will result in being directed to the main school entrance from which access to the Centre is not possible. The most appropriate postcode to use is IP3 8LR which will direct you to the Centre’s entrance off Foxhall Road. 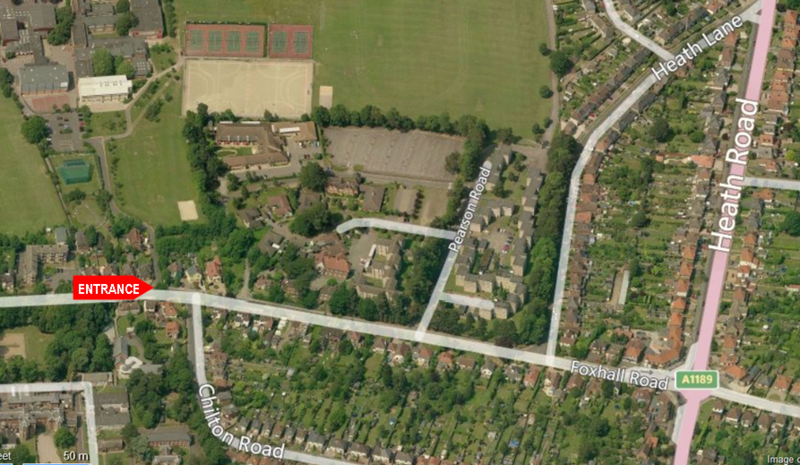 The large aerial photo shows the Centre with the drive entrance indicated off Foxhall Road opposite Chilton Road. The entrance is clearly signposted on Foxhall Road.